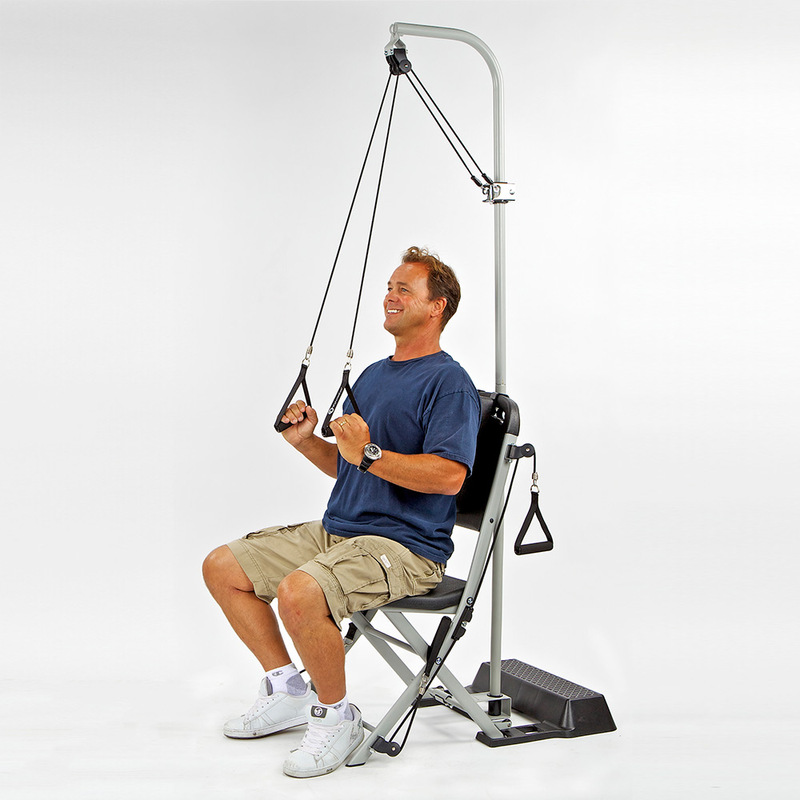 The Freedom Flex™ shoulder stretcher offers a convenient and effective way to maintain flexibility in your shoulders. 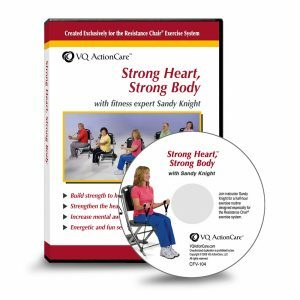 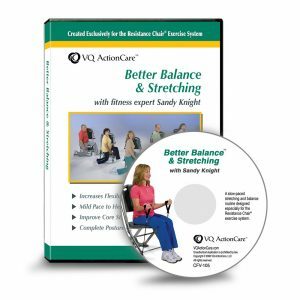 It also can help people with arthritis, “frozen shoulder syndrome”, and other shoulder ailments. 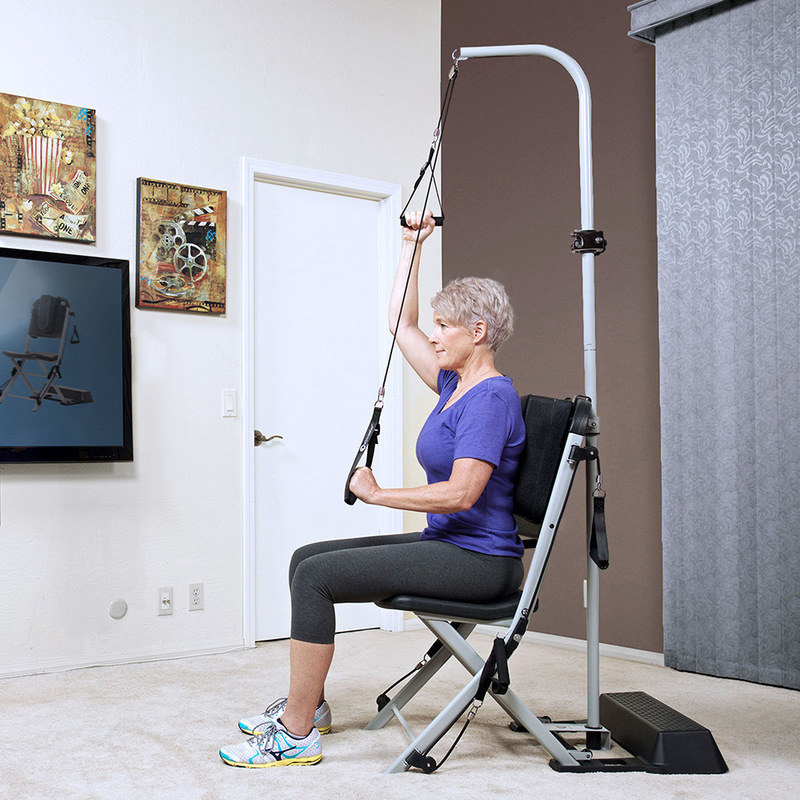 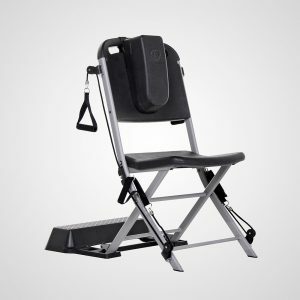 The Freedom Flex attaches easily and securely to the back of the Resistance Chair system. 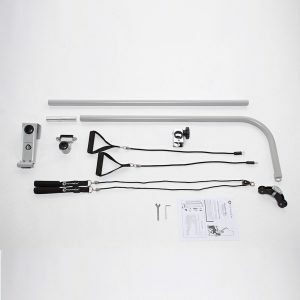 The vertical support pole consists of an upper and lower half, which swivel at the center connection point for greater range of motion. 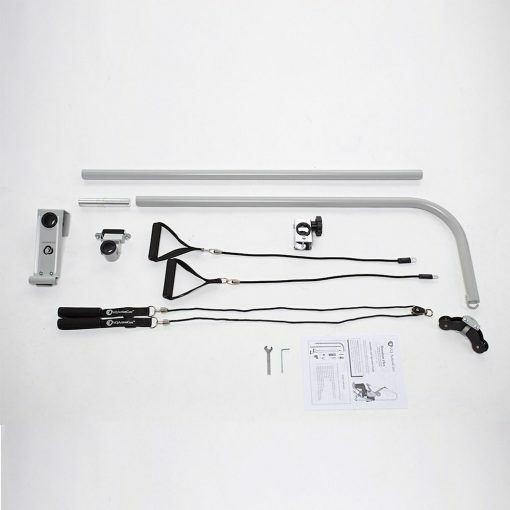 When not in use, the top half of the support pole can be rotated to the side or detached. The Freedom Flex also includes the Saddle Hook and Dual Pulley attachments. 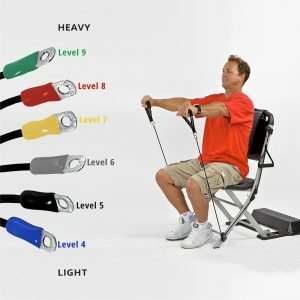 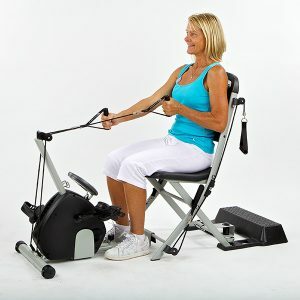 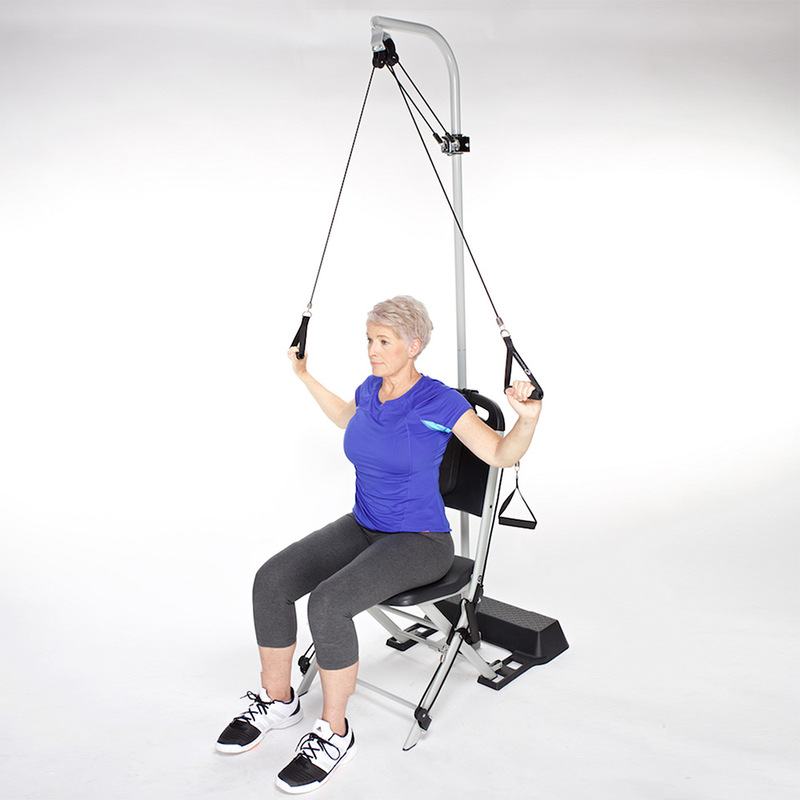 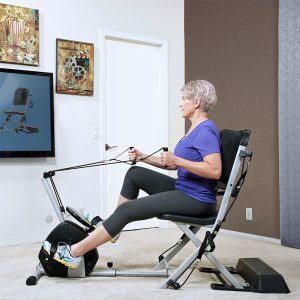 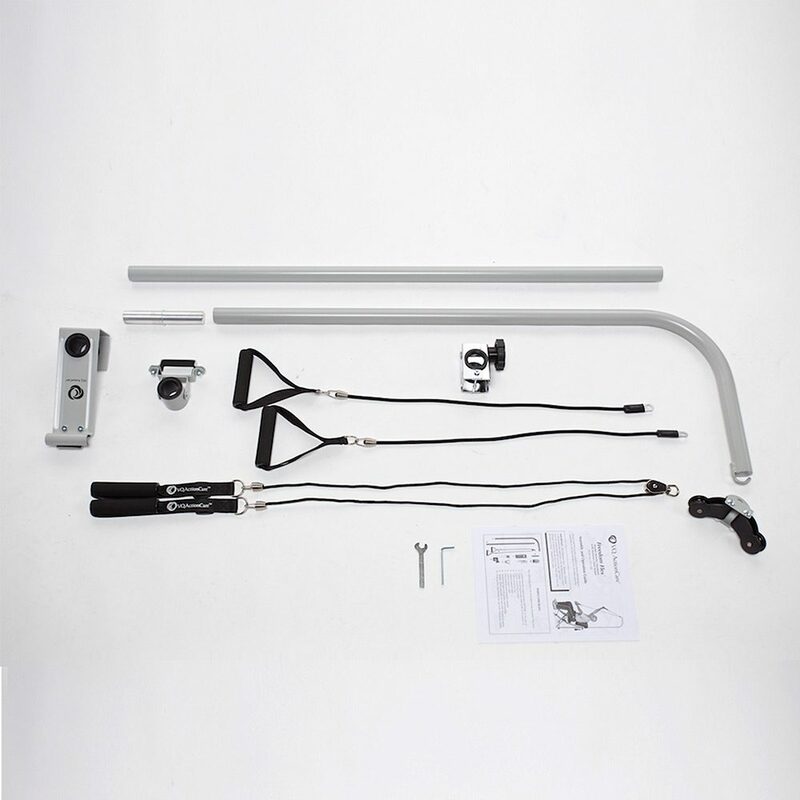 When you add these attachments (pictured at left) to the Freedom Flex, you can use your Resistance Cable exercise cables for strength exercises, such as lateral pull-downs and tricep extensions. 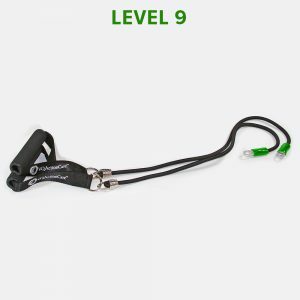 The Saddle Hook clamps on to the upright pole and can be positioned at any point along the pole, which allows you to adjust the position of the Resistance Cables handles to suit your needs for each exercise.